We present you coffee tables made of natural oak wood. 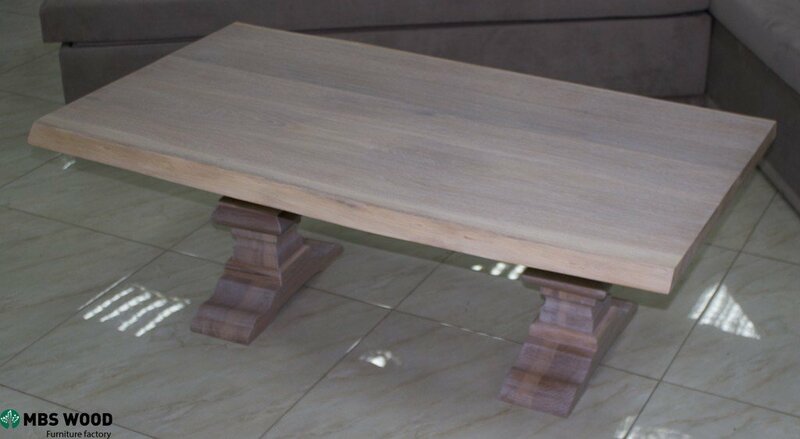 Our factory produces quality coffee tables made of solid wood. Here we have presented a coffee table with large massive legs, which consists entirely of solid wood. The color of the table top-white (white translucent oil coating). The table top has living edges (they are not smooth and repeat the shape of a wooden one, like the end of a tree with bark). 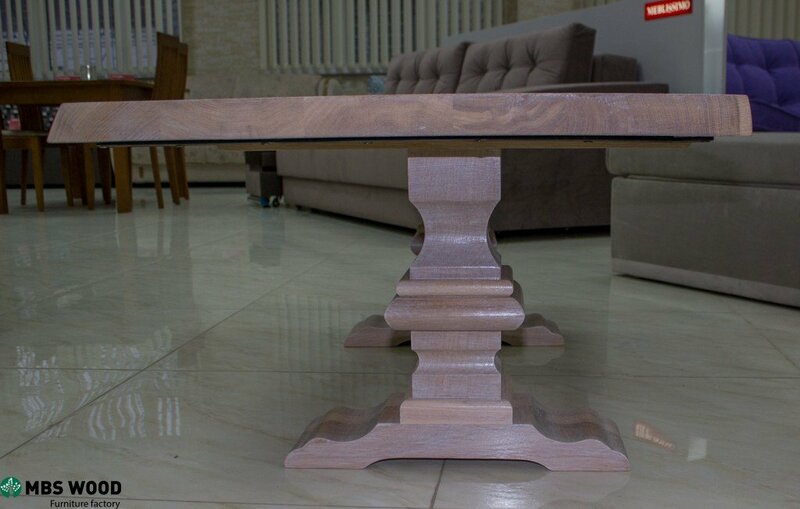 We believe that the main advantage of our coffee tables is the natural materials that we use in the production of wooden furniture. Furniture made of natural wood is completely safe for human health. Furniture made of natural wood can be used for longer (subject to proper use of the product). Natural wood furniture looks beautiful. The price of such furniture is much higher than the furniture made of plastic or other wood substitutes. It is necessary to properly store and observe the care of tables made of natural wood. More minuses of this furniture is not, so everyone should understand what kind of furniture he needs cheap or high quality and safe. 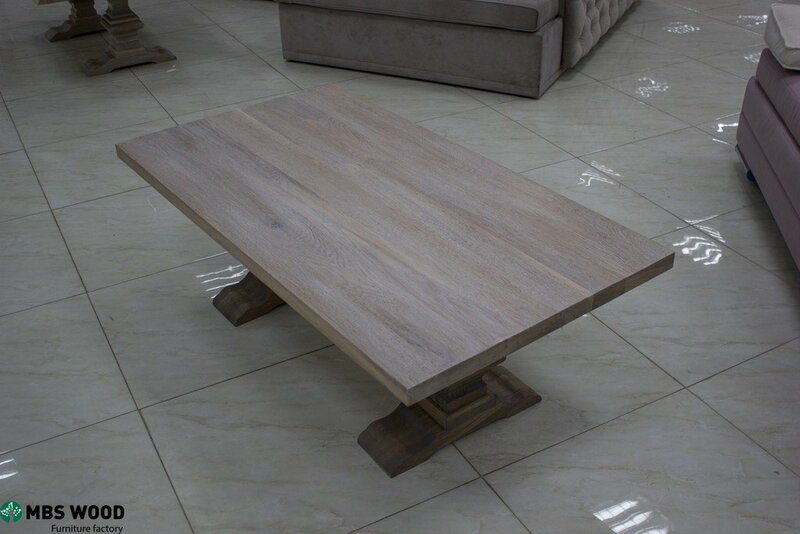 Where to buy coffee tables made of oak produced by our factory? 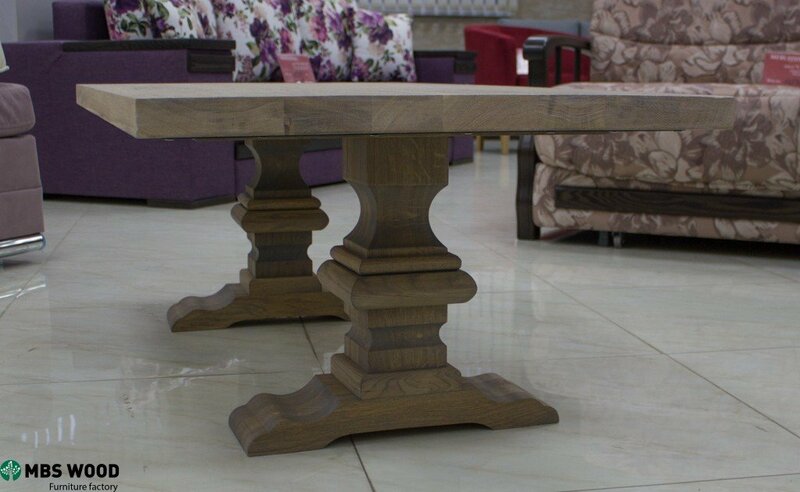 We do not sell tables in single copies, we cooperate only with wholesale buyers. Minimum order quantity for buyers from Europe 5-10 tables. 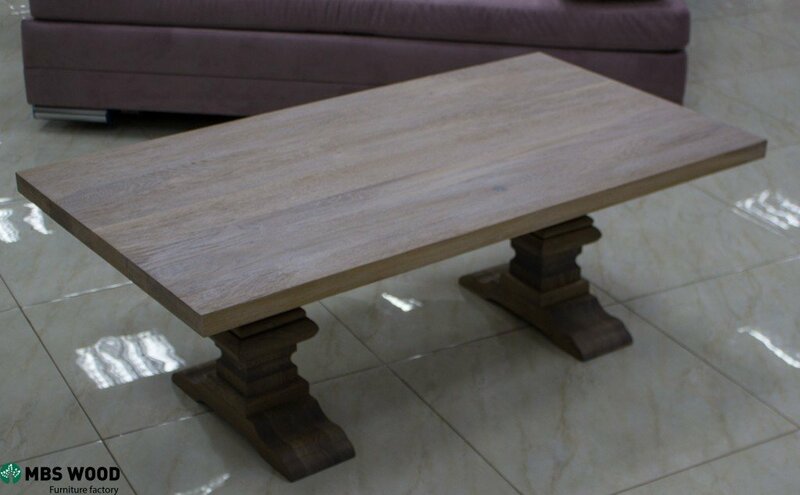 If You are interested in our products and want to buy a small number of 1-2 pieces, we can advise retail furniture stores in Europe where they sell coffee tables produced by our factory (please note – the price will be much higher). 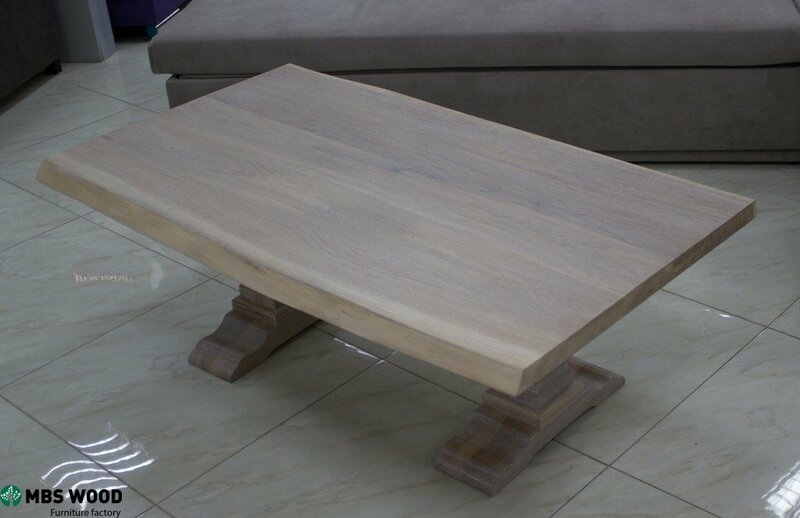 Prices for coffee tables made of solid wood you can see on our website in the section – catalog and prices. Hey. Thank you for your comment. We are very glad to see that you have worn this coffee table. You can sell this table under your own brand. If you want to sell our products in the United States of America, we can conclude an exclusive contract with you and not supply our customers with goods from your region. If you have any questions send us an e-mail.